Memorial day Weekend in the resort city of Myrtle Beach S.C. can be loads of fun for the hundreds of thousands of tourists that pour into town. One young lady was not so lucky this year. After returning to her car from laying out on the beach and getting some sun, the 17 year old was sitting on her bumper wiping sand from her feet. A white man in his thirties walked up and asked her what song was she listening to. 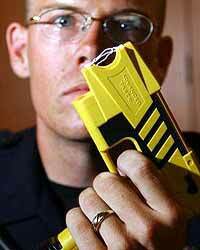 “Before I could answer him he stuck me with a stun gun”, said the girl. She said she woke up to a woman and kids asking if she was O.K. “At first I wasn’t sure what had happened. It was after making sure I was alright that I notice that my iPod was missing”. He didn’t take anything from her car and no one saw it happen. She later said she had no injures from the stun gun, but her back was blistered from the hot asphalt in the parking lot. There is still no leads on who the attacker was. Story Courtesy of The MB Herald.